About a year or so ago, Wayne Grush received an unusual call. The technical director of Winston-Salem, N.C.-based McNeely Pest Control was used to troubleshooting hard-to-crack accounts, but this one was a doozy: More than 3,000 field mice were infesting a poultry facility. The staff had been using retail products to try to get the population under control, with little impact. 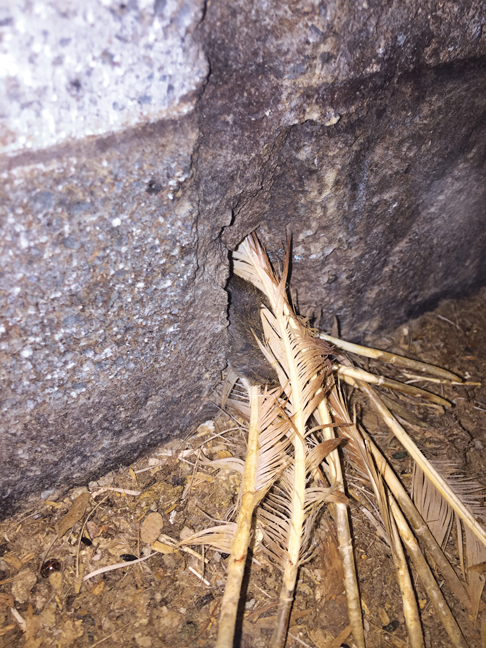 They called McNeely Pest for help, and Grush knew right away that this wasn’t going to be a one-and-done account. Grush and McNeely branch manager Levi Reynolds inspected the seven chicken houses, each of which was about 1,500 square feet. The units housed about 12,000 birds total. The on-site office also had mice. Grush and Reynolds decided that the environment was way too dusty to use glueboards, and that sanitation was already at about as high a level as one is going to get on a farm. Rodent bait and snap traps, then, would be the way to go. The duo set a plethora of snap traps, rodent bait and liquid bait in strategic spots — out of the way of the nesting chickens, and avoiding completely the “free range” area where organic chickens resided. 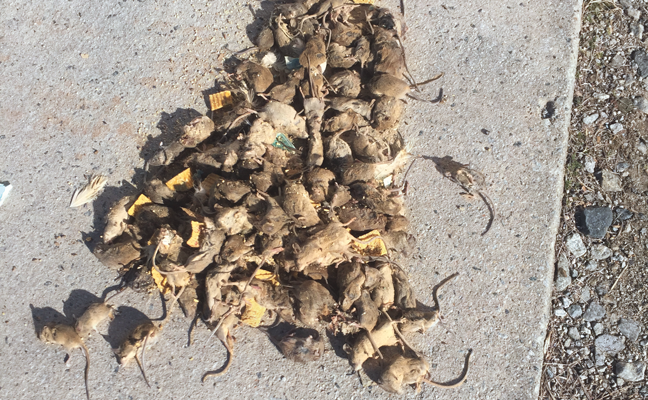 They stopped back twice a week for six weeks, and were picking up to 200 dead mice each visit, Grush says. “Consumption was phenomenal,” Grush says, noting that while liquid bait is conventionally thought of as being more useful for rats than for mice, the integrated approach worked like a charm. Knocking down the initial population with the intense baiting and trapping program paid off, Grush says. After the first six weeks, he was able to get the account on a monthly schedule, and today only one tech is needed, trapping on average fewer than two dozen mice per visit. It’s a threshold for which the facility — and the McNeely team — is grateful.